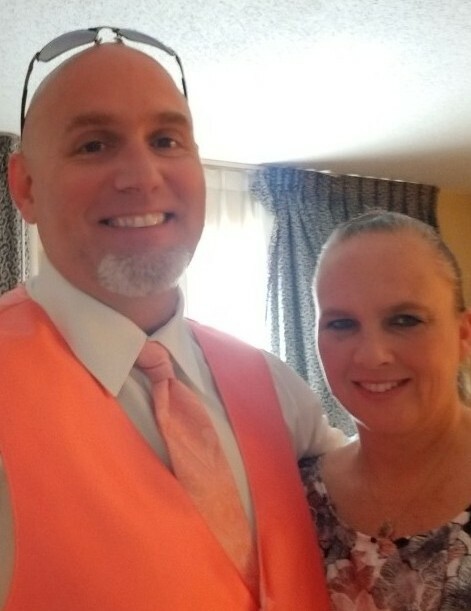 Obituary for Ron Couts | Kroeze-Wolffis Funeral Home, Inc.
Ron Couts, age 43 of Fremont, passed away unexpectedly on Thursday evening, January 24, 2019 at Spectrum Health Gerber Memorial in Fremont. He was born on March 7, 1975 in Elko, Nevada to Clarence "Clancy" & Cathy (Wirt) Couts. Ron was a US Navy Veteran, he was currently employed by Chassix in Montague, and he was previously employed by Linear in Grand Rapids. He was also a Free Mason, and avid outdoors man, and he was a movie buff. On July 16, 1999 he married Sharon Ferguson and she survives him along with 3 sons: Tyler James (Hannah) Couts, Cameron Allen Couts, & Seth Andrew Couts; his mother, Cathy Wirt; sisters: Mechel (Chris Belasco) Pagel, Jennifer (David) Royce, Jamie (Allen) Boucher, Jennifer (Kevin) Giles; brothers: Steve Wirt, James Mark (Kimberly) Ferguson; mother-in-law & father-in-law: Gloria Ferguson, William (Marilyn) Ferguson; and by several nieces & nephews. Ron was preceded in death by his father; by his sister, Heather Bower; and by several grandparents. A celebration of Ron's life will take place at 11:00 AM on Thursday, January 31, 2019 at the Kroeze-Wolffis Funeral Home with Mr. Dale Kuhle officiating. There will be a time of visiting with the family at the funeral home from 10-11 AM on Thursday. In lieu of flowers, memorial contributions can be made to a charity of your choice. You can sign the online guest book at www.kroeze-wolffis.com. Arrangements are by Kroeze-Wolffis Funeral Home, Inc. of Fremont.